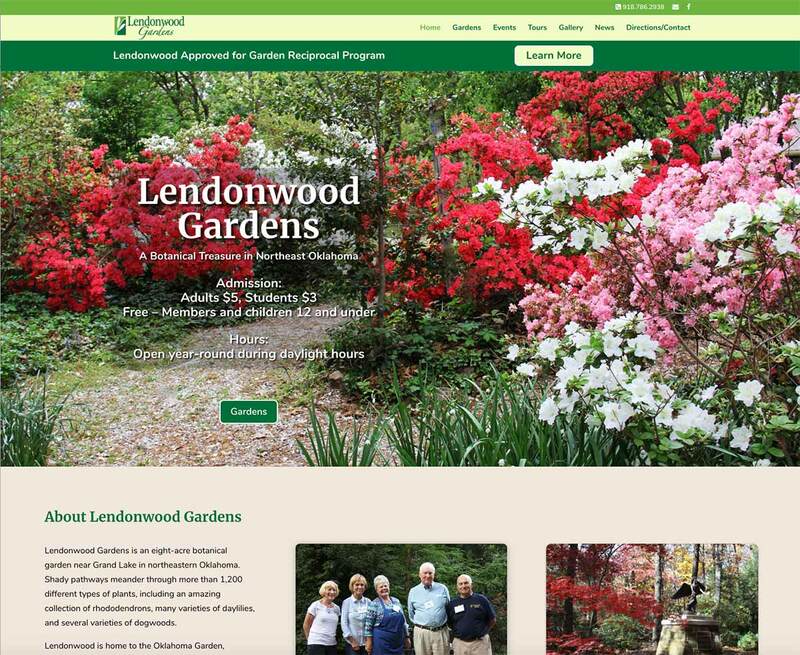 Lendonwood Gardens has a new website. The website is built in WordPress and makes extensive use of the modern overlays technology. The website also enables the use of on-line forms and PayPal buttons for product purchase and donation. To guarantee to site visitors that our new site is free of phishing and other malware the site is protected by a Secure Socket Layer (SSL) Certificate to make it HTTPS compliment. The site features an active Events calendar, Google map with driving directions, and most importantly presents the eight distinct garden areas in a new graphical format. Beautiful imagery is used throughout.